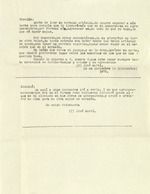 ﻿ Letter to Nicolas from José Martí, 22 December (or September) 1875, response to article, appears to be a transcription, not original. Letter to Nicolas from José Martí, 22 December (or September) 1875, response to article, appears to be a transcription, not original. rar mi alzmani para ml obra mejor de corazin.